Note: Siberian version 4.16.4 is required. The app offers two registration processes, one for drivers and one for users. .
Once accepted a driver can go online or offline. If online, the driver is warned by a notification that a passenger has requested a ride. 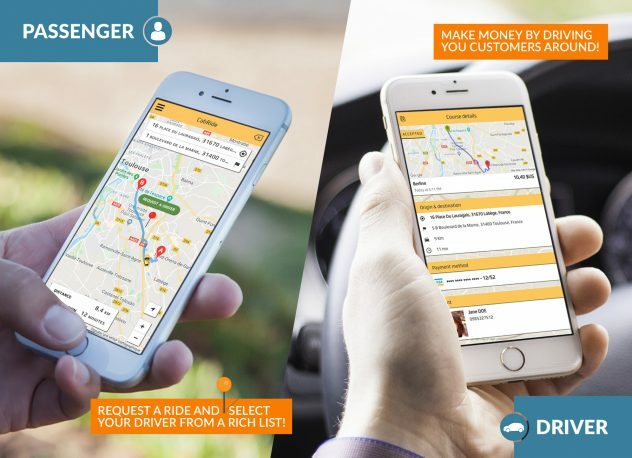 Passengers can book a taxi in a few seconds. They just have to open the app, enter their course pick-up & drop-off and choose from the available vehicle types. All corresponding drivers which are in the radius you have defined can answer within the response time you have set. Once at least a driver has accepted the ride, the passenger will be informed and the driver will be on his way. Do I see a list of the rides which have been done? Yes! you have access to a rich and complete dashboard. You are paid as the app owner. Every time a passenger pays his ride it goes to your account. Is the driver warned when a passenger is looking for a ride? Yes all drivers in the radius you have defined are warned by a notification. Port 37000 (TCP) is required & must be opened for the WebSocket.